Historic Kelsey Yaralla is a diverse, whānau-orientated kindergarten with a strong sense of community. Our spacious learning environment is dynamic and well resourced, supporting children to be independent and confident learners. Kelsey Yaralla Kindergarten has occupied many homes since opening in the King St Church Hall in 1891. 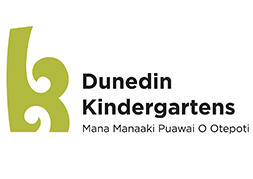 It moved to the North Dunedin Club Rooms and then to Knox Church Hall, it resided in the Albany St School Gymnasium, a room at the Grange and in the Union St School Gymnasium until finally in 1920 the Dunedin Free Kindergarten Association erected the present Kelsey Yaralla Kindergarten in Trent Avenue.